1. Order the system to be shipped to you before your surgery. The CranioRehab CryoJaw Cooler System uses compression and thermal therapy for reduced swelling and pain of the TMJ, jaw and face. 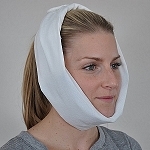 The system includes a pumping cooler, facial pad, and compressive wrap. Simply add ice and water to the cooler to enjoy hours of continuous relief from pain and swelling for recovery from surgery or chronic pain. 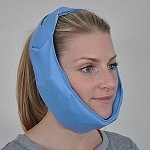 Regular ice packs should only be used for 30 minutes at a time. 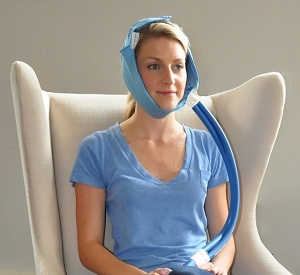 The CryoJaw Cooler system uses the Polar Cube cooler and compressive jaw wrap for continuous pain and swelling relief. Don’t spend your recovery changing ice packs. 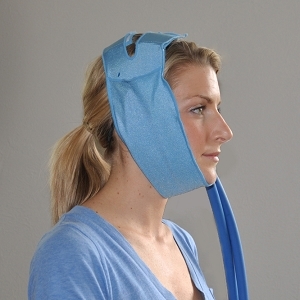 The CryoJaw Cooler System is the only hot/cold cooler therapy available for craniofacial patients. By providing the maximum benefits of ice and heat during your recovery, Hot/cold-compression therapy helps to reduce swelling and pain, prevent muscle spasms, and preserve skin elasticity for improved soft tissue healing. 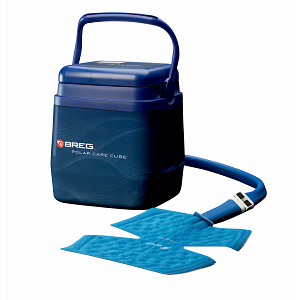 Hot/Cold Cooler therapy is a simple system that is the standard in orthopedic care. 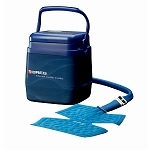 The Cooler System can be kept and used with additional pads for recovery and relief of the knee, back, shoulder, leg, arm, ankle, wrist, and foot. Please visit AspenGoldMedical.com for a full selection of pads. Insurance: Cold-compression therapy primarily provides enhanced comfort for patients following surgery and is rarely covered by insurance. We provide an affordable.system for purchase, which can be kept and used with additional pads for recovery and relief of the knee, back, shoulder, leg, arm, ankle, wrist, and foot. Please visit AspenGoldMedical.com for a full selection of pads.